With no fixed itinerary while in Davao City, the whole morning was spent lying on bed. Until we get exhausted sleeping and lounging, and decided to drag ourselves out of our comfy rooms and went with our friend, Olan, who will serve as our tour guide for the day. 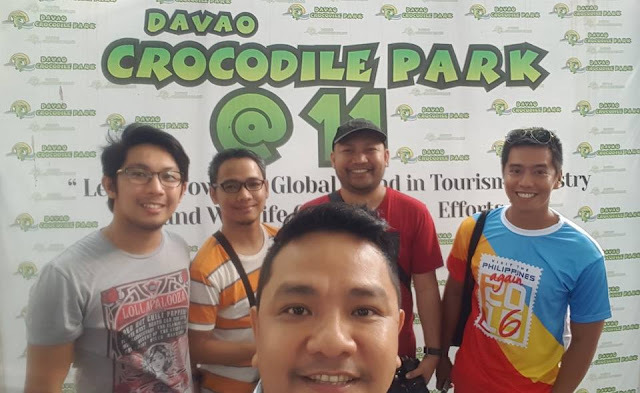 It was decided we visit the Davao Crocodile Park. I had no expectations for the supposed excursion then. All I know is that I’ll be seeing crocodiles in the park. And to my surprise there’s more to crocodiles at the Davao Crocodile Park. Spectators were gathered near the entrance of the park as we come in. They all are excited. I roam around for a few seconds and settled at one corner together with my friends to watch the show. Endemic species of birds graced the show with their tricks. Trained monkeys were present too. It was actually fun. I never expected a crocodile park to have an animal show to begin with apart from animals. Otherwise, I could have expected a zoo as attached to the name of the destination. Audience participation were required on some parts which makes the show more lively and interactive. Beside the stage for the show is a booth for picture-taking with either a baby crocodile or a snake. It was a weekend and the thirty minute show is scheduled at around four in the afternoon. The biggest crocodile in captivity in the country can be seen at the Davao Crocodile Park. The 18-feet saltwater crocodile is named Pangil. Every afternoon, Pangil, which literally means “fangs”, is made the subject of a show. The caretakers enter the caged pond with a stick and probe the crocodile, prompting the giant reptile to move towards the stick, kick its tail and make the spectators giggle and shout due to splashing waters. The splashing of the waters is actually the main highlight of the show as I thought there must be something else (the morbid me thinks). The apparent feeding of the stuntman to the crocodiles while walking and dancing on the rope has a purpose and a message to convey while we watch the show. It was more of giving importance and preservation of the wildlife and the crocodiles in particular. 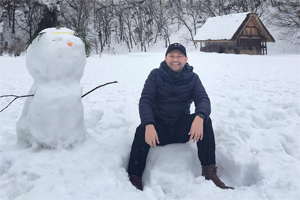 I was actually amazed of the stuntman’s skills which definitely have been acquired through constant practice and perseverance to perfect his routine. The crocodiles were actually sleeping and I even thought were stone replicas as movement was nil. From the vantage of the stuntman, I know he will be safe from being eaten alive. The Davao Crocodile Park is not only about crocodiles. There should have been a tiger climb at its den, but the tiger was too lazy to move. Apart from crocodiles and tigers, it also features exotic animals such as monkeys, snakes, birds, bearcats and the varied types of reptiles. The highlight of the visit to this park is the Tribu K’ Mindanawan. It is a cultural village that showcases the richness of the indigenous people of Mindanao. Tall bamboo trees surround the vicinity and is located near the riverside. We were in time for the show as we arrived. We were seated at the middle front seats and a good vantage for the fire dancing show. It was truly world-class highlighting the rich culture and heritage of Mindanao. The amazing display and stunts for the fire dance is something one must not miss when in Davao City. Routines well-rehearsed and not to mention the backdrops and props made into proper use for entertainment. After the show, we were seated on a restaurant a few steps upwards the stage where another cultural dance presentation commenced. In a matter of minutes, we found ourselves at the stage dancing with the performers as well. It was a fun night. Unexpectedly, not over bottles of beer (but later on) but over cultural orientation and appreciation.